It looks like Audi has been working over redesigning its entire lineup and bringing the era’s model by replacing the traditional mode. Few significant examples in this queue are Audi Q7, A4 and R8 which they presented at the same Frankfurt Motor show 2015 where they unveiled the all new Audi S4 2016. Model is adorned with better design, features and a new powerful engine. 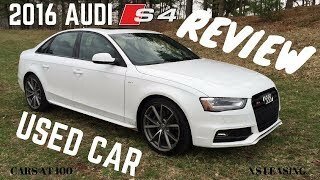 Let us have a look at the review of Audi S4 2016 to know more about it. The interior of Audi S4 2016 carries some of the hints from its A4 sibling. Starting with the redesigned cabin, the dashboard gets a cleaner look while the infotainment controls and the center console too gets some redesigning, making it look better. A new 8.3 inch color screen is mounted in the center of the dash while the MMI controls and the three-spoke steering wheel carries queues from the recently shared Audi Prologue Concept. Not only this, the highly spacious model has some remarkable features like the Navigation, touch capability, LTE connectivity, WiFi etc. There is also a head-up LED display and an Audi tablet for the rear seat passengers. 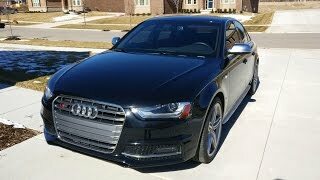 TO provide luxury and comfort to its buyers Audi has widely used Nappa leather and Alcantara while the matt brushed aluminum trim replaces the traditional standard work. Marking an impeccable presence with this model, company has also integrated a 12.3 inch screen in instrument cluster making it classy. 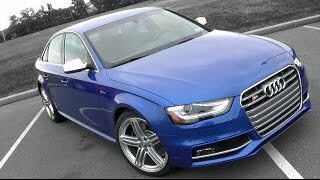 Rounding up the entire interior details of Audi S4 2016 all I would say is, it has everything to make your ride luxurious and comfortable. Just like the interior, exterior of Audi S4 2016 also carries hints from the A4 2016. Starting with the front fascia the reshaped grille is housed amidst the newly designed LED headlights marking glory and getting complimented by the presence of creases towards the fender. The bumper gets a larger splitter and newly designed air intakes and thus the entire front set up makes the model look both classy and aggressive. The rear end gets an enchanting touch through the new larger trunk lid spoiler above the two pairs of twin exhaust pipes. 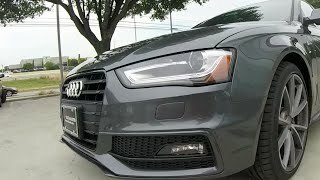 In all the exterior of Audi S4 2016 while rolling over the 18” wheels which has red brake calipers looks extremely stunning and worth its price. 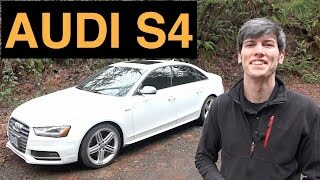 Beneath the hood of Audi S4 2016 is a 3.0 liter TFSI V6 engine cranking total output of 354 hp and peak torque of 500 nm paired to eight-speed automatic transmission. The power thus takes the top speed of Audi S4 2016 to 155.3 mph while the 0-62 mph sprint can be easily knocked in just 4.7 seconds.